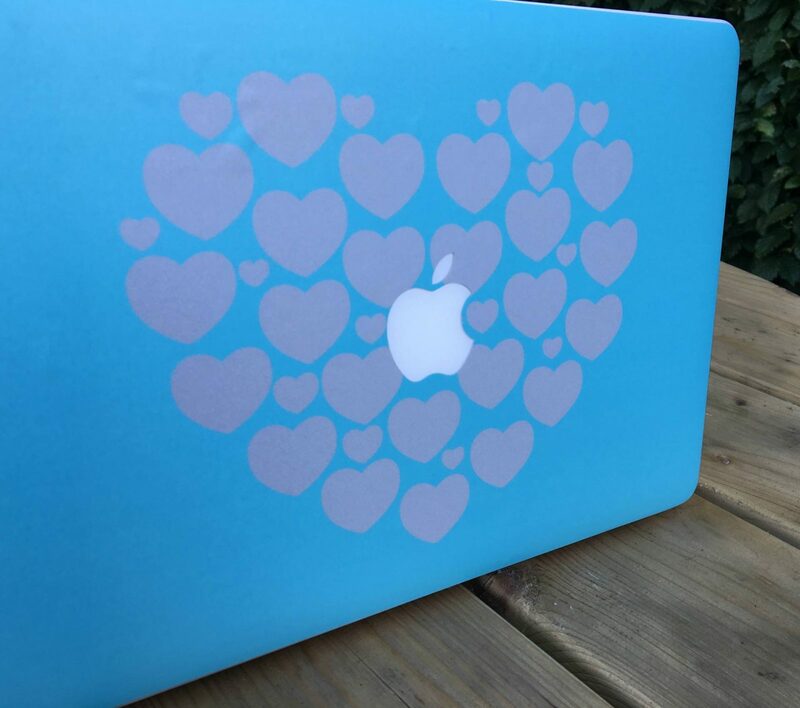 Since I got my MacBook I kept meaning to personalise it with a lovely skin cover that you can get for them. But, I just never got round to it. I love personalising things and making them more individual. Then CaseApp got in touch and asked if I wanted to try out their skins that you can design yourself. This sounded perfect and I couldn’t wait to get started. You can either choose one of their predesigned skins or you can design your own. I decided to design my own skin for my MacBook. There are lots of options to do this, you can upload a picture of your choice, choose a background, insert text and they have lots of clipart’s to insert. I choose to match my skin to my blog theme and choose the same background colour as my blog theme. I then inserted a heart design from the clipart section. It was really easy to do and you have a preview option to check it once you have finished. Once you are happy with it you save your design and that’s it all done. CaseApp also do cases for your phone. Now I love to personalise my phone cases and have done this previously. But, I recently upgraded to the iPhone 6s and I didn’t have one for this phone and I did miss having photos of my girls on my phone. They also do cases for all models of the iPhone, SamSung and iPads. The process for designing your phone case is exactly the same as designing the skin cover, with all the same options. For my phone I like to have photos of my girls on it and they have different collage options to choose from. I went for two small photos at the top and one larger one at the bottom. When choosing an image for it, you need to take into consideration the location of the camera. They have the camera position on the template, to make this easier. The image goes all the way to the edge of the case which goes around to the side, another thing to think about when choosing your image. Both items arrived really quickly and in a sturdy envelopment clearly marked not to bend it. 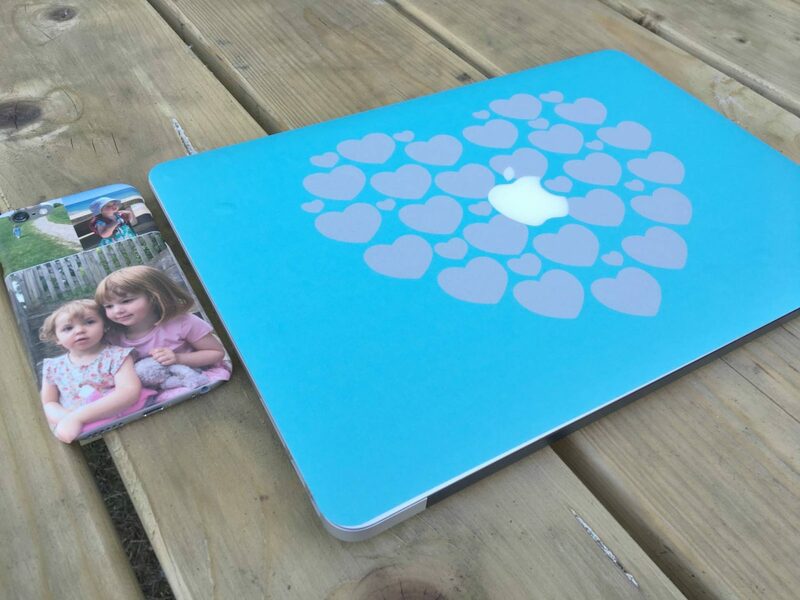 The MacBook skin is an self-adhesive vinyl sheet which you apply to the lid. To apply it I started with lining it up around the Apple logo in the middle and then worked my way out to the edge. I used a dry cloth to smooth it out and make sure there are no air bubbles in it. Once I was happy with how it looked I pressed it down firmly. Its good quality and provides a protective layer and stop it getting scratched. I just love the look and design of mine and that it matches the look of my blog. 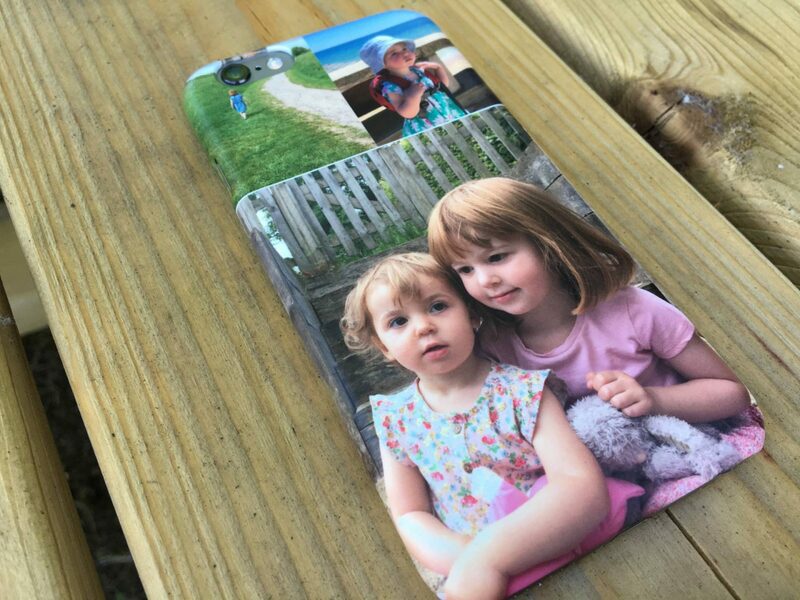 I am really impressed with the quality of the phone case, it feels really nice in my hand and the quality of the images is brilliant. It’s one of the best cases I have had when it comes to quality. It was really easy to fit onto my phone and it’s a snug fit which is good, but tricky to take off if needed. I am really happy with it and it’s lovely to have pictures of my girls back on my phone. Disclosure: I received my MacBook skin and personalised phone case in return for an honest review. As always all views and opinions are my own. Ah how pretty is your phone case?! I’m so clumsy that I have to have ones that fold around the front too so I can’t smash the screen! How pretty is your phone cover! I need to cover mine as one day the boys will smash it! I would love a nicer case for my phone. It’s so boring at the minute. What a lovely phone case, I am loving it. 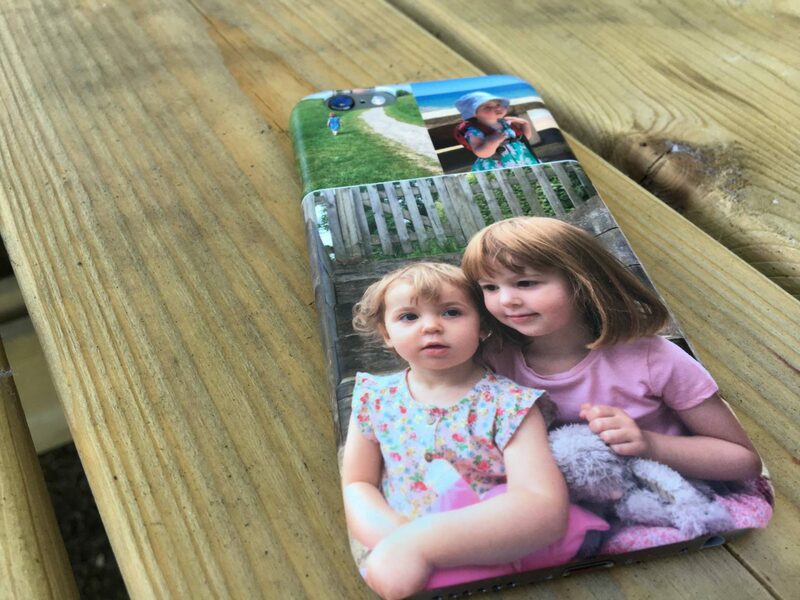 I recently got a personalised phone case with my nephew on it now I just need one for my laptop. Phone cases are such a great way to personalise your device. Great giveaway! Wow I love your case. Caseapp make the best cases don’t they? 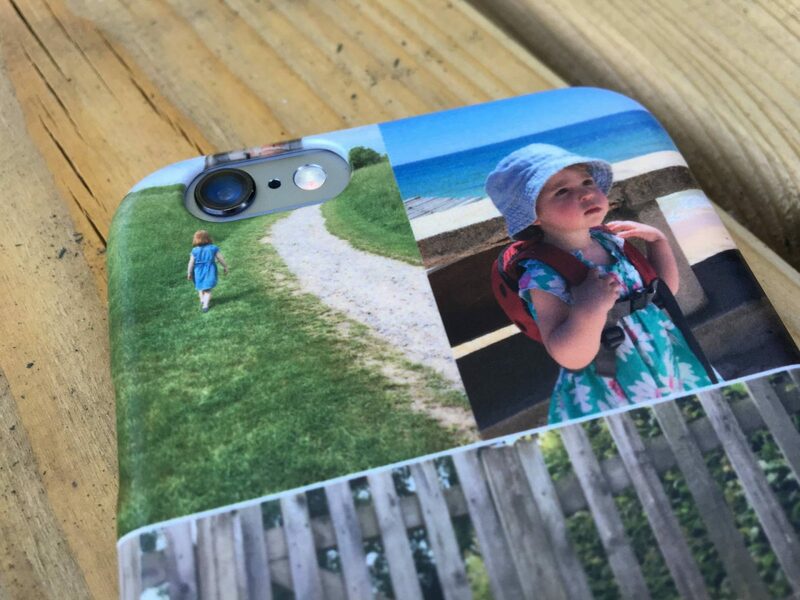 Personalised phone cases are such a great idea, particularly as phones look so similar these days. It’s so easy to pic up the wrong one!